There are a lot of gunsmiths out there, and many are great at what they do. As in every occupation, some are better than others. Some gunsmiths are generalists, and some are specialist in a particular niche, like hunting rifles, 1911 pistols, heavy benchrest rifles, etc. 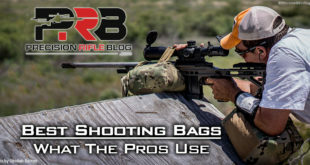 For the PRS, shooters demand tack-driving precision in a rifle that functions reliably in tough field conditions, and are light enough to carry and maneuver all day. That’s certainly a tall order! 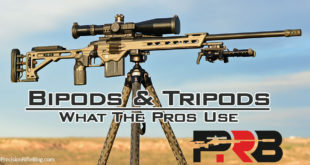 While this is not intended to be an exhaustive or ranked list of the best gunsmiths, it is a list of the gunsmiths the best precision rifle shooters in the country trusted to chamber their match rifle. That clearly means these shooters gave them a strong vote of confidence. There was some shift from last year’s survey data on gunsmiths. First, there was a much wider variety of gunsmiths represented, which is primarily due to the number of gunsmiths represented by only 1 shooter. Last year gunsmiths with only 1 shooter represented made up 18% of the total, and this year they made up 30%. That just means the shooters are less concentrated among a few gunsmiths, and there are a lot of new gunsmiths represented. In fact, there were 23 new gunsmiths represented in the Open and Tactical Divisions! (Note: By new, I just mean they hadn’t appeared on the “What The Pros Use” survey before. They may have been a gunsmith for 50 years, but they’re new to this list.) Because there were so many used by just 1 shooter, I had to limit the chart above to only display the gunsmiths that had multiple shooters say they used them on the survey … otherwise it would have been unreadable. But rest assured, I’ll give the FULL list in this post. While some favorites were still represented in strong numbers like previous years, there was some shuffle in the order in terms of how many shooters each one had represented. For the first year ever, Accuracy International was the most popular rifle builder, with 8 of the shooters surveyed running one of their rifles. Last year, AI tied for the 2nd most popular, behind GA Precision. But this year AI was able to claim the top spot. AI works differently than many gunsmiths. On an AI-built rifle, you can’t choose all the components to the same level of detail that you can with a full-custom gunsmiths (e.g. you can’t tell them you want this brand barrel, with this particular twist rate, and you want it Cerakoted in this color, etc.). But, if AI is willing to stamp their brand on it … you know it represents one of the best rifles money can buy. 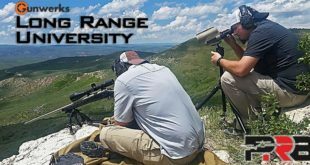 Their goal is to find the absolute best components for each part of the rifle, and then assemble a team of world-class experts that specialize in key aspects of each rifle. AI had 2 shooters represented in the top 20 in the Open Division, and 3 more in the top 50. There was also a shooter who finished in the top 10 of the Tactical Division running an AI rifle. Surgeon Rifles claimed the #2 spot, with 7 shooters among the top 50. Surgeon was the most popular gunsmith in 2012 and second in 2013, but there were only a couple of Surgeon built rifles represented over the past two years. But that all changed again this year, with several of these pros running Surgeon Rifles … including Tyler Payne, the overall points leader and PRS Champion this year. Also representing Surgeon Rifles was David Preston in 3rd place, and Matthew Brousseau in 8th. So there were 3 shooters in the top 10 running Surgeon Rifles, which was more than any other gunsmith! In addition to that, there were 2 more guys in the top 20 in the Open Division, and 1 more in the top 50. Stuteville Precision was the 3rd most popular gunsmith among this group of shooters, with 6 shooters represented. While the company is just a couple of years old, they’ve been a favorite among these shooters since they started. 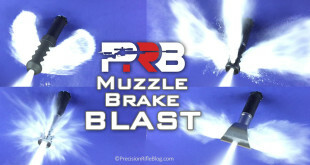 The guy running the company, Wade Stuteville, is a veteran in the PRS and in building rifles. 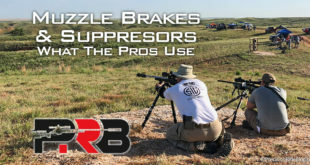 Wade has competed with precision rifles for 15+ years, and even claimed the top spot overall as the PRS Champion a few years ago. This year Stuteville Precision had 1 rifle represented in the top 10 in the Open Division, and 2 more in the top 25. They also had another rifle represented in the top 10 in the Tactical Division. 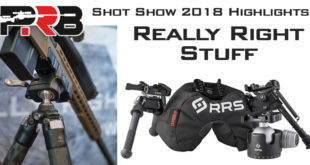 Butch’s Reloading jumped up a few spots this year, with 5 rifles represented among the shooters surveyed. Butch Fjoser and Ed Adams are long-time competitive shooters. They’ve recruited a few other shooters for Team Butch, with 3 of them finished in the top 50 in the Open Division. 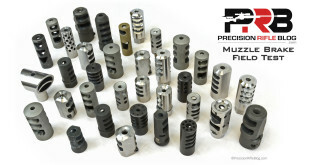 GA Precision – GAP was the most popular gunsmith for 3 years in a row, until this year. But make no mistake, they still know how to build rifles capable of gnat’s @$$ precision (yes, that’s what GA Precision stands for). 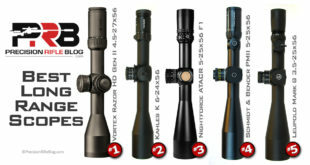 GAP is one of the most experienced and respected gunsmiths in the country when it comes to tactical, precision rifles. They had 4 shooters represented, including Shannon Kay who finished 7th overall, and 2 more shooters who finish in the top 50 in the Open Division. Masterpiece Arms – MPA is relatively new to the bolt-action world, but they’ve proved they’re fast learners! That’s pretty obvious when they have as many rifles represented among these world-class shooters as big-time players like GAP and SAC. One interesting thing that is different about MPA is they own their own barrel company. They had 4 rifles represented among this crowd. Short Action Customs – Led by Mark Gordon, this company has made some hard-core believers out of more than a few shooters. SAC is focused on tactical rifles, and I’ve personally seen some of their rifles that were capable of ridiculous precision. They’ve actually published a ton of videos of their process and barrel work. SAC had 4 rifles represented, including 1 in the top 30 in the Open Division. 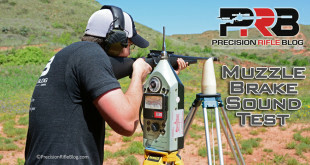 Spartan Precision Rifles – Spartan is gunsmith who specializes in niche of precision bolt-action rifles. Spartan had 4 rifles represented, including Regina Milkovich who used a Spartan built rifle to take 23rd overall in the Open Division, and Alton Johnson who placed 4th overall in the Tactical Division. TS Customs – TS Customs is a gunsmith out of South Dakota that makes tack-driving rifles for competitors and hunters. They had 4 shooters total, which included 2 in the top 25 in the Open Division, and 1 more in the top 50. 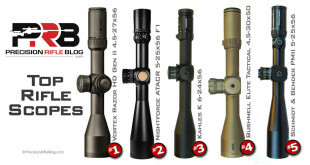 Roberts Precision Rifles made the list once again. They seem to be a perennial favorite among a few of these shooters. Aaron Roberts is the riflesmith behind the company, and if you haven’t heard of him … you should check out his bio. Very impressive resume! Roberts Precision Rifles had 3 shooters represented this year, including Paul Reid who took 10th overall in the Open Division. 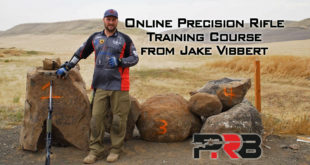 Accuracy Addiction – 2 shooters, including Ryan Castle, one of the instructors at CORE Shooting. American Precision Arms – Jered Joplin is the President of APA, and he actually took 1st overall in Tactical Division. They also had another rifle represented in the top 30 in the Open Division. Beanland Custom Rifles – Beanland is another gunsmith that appears on this list year-after-year. They had 2 shooters, including Matt Clem, a respected veteran among this crowd. 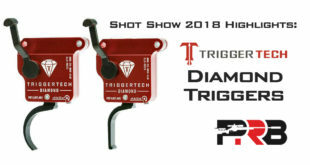 Dixie Precision Rifles – 2 shooters, including 1 in the top 25 in the Open Division and 1 in the top 10 of the Tactical Division. Exodus Rifles – This is a one-man shop ran by Joe Walls. You might recognize that name. Joe placed #2 Overall in 2015, and 4th Overall this year in the Open Division. Joe shoots a ton of major PRS Points Race Matches, and usually finds himself in top 5 at any match he shoots. That shows both commitment and absurd consistency. Joe clearly knows what it takes to compete at the highest levels. Exodus Rifles represents a rare opportunity for you to have a rifle built by the hands of one of the top shooters in the world. Exodus had 2 rifles represented among this group, including Joe in 4th Overall and Mark Rosset who got 3rd in the Tactical Division. 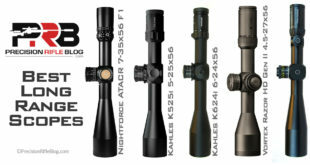 Francis Kuehl – Francis is a veteran among veterans when it comes to precision rifles. Francis finished in the top 10 every seasons since the PRS started in 2012, until this year. He’s been competing for almost 30 years, and gunsmithing for 20 years. Francis builds rifles for select shooters, with 2 rifles represented this year, including 1 used by a top 20 shooter in the Open Division. 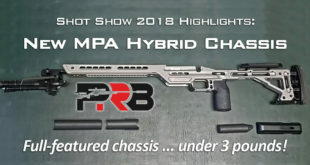 H&H Precision Rifles – 2 shooters represented among the top 50 in the Open Division. 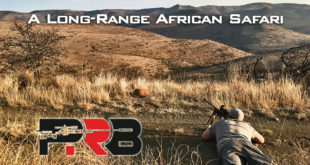 Kelbly Rifles – 2 shooters represented. Long Rifles Inc. (LRI) – 2 shooter represented, including Jake Vibbert who placed 6th overall in the Open Division. Parry Custom Gun – Matt Perry is a veteran PRS competitor and he runs this one-man shop in Oklahoma that specializes in rifles for PRS style matches. 2 of these top shooters were running one of his rifles, including 1 in the top 50 of the Open Division. 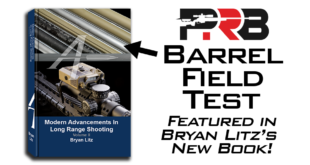 Patriot Valley Arms – Patriot Valley Arms is headed by Josh Kunz, a mechanical engineer/rifleman with an interesting background in flight analysis for Boeing. Josh is also the designer of Flat Line Bullets, and the guy who made the 4700 yard shot I wrote about last year. Patriot Valley Arms had 2 rifles represented among the top 50 of the Open Division. Finally, here is the list of gunsmiths with 1 shooter represented among those surveyed. And please understand I’m not trying to imply that these guys aren’t on the same level as the gunsmiths already mentioned. This post is simply intended to presenting the results of this year’s survey, not rank gunsmiths. Remember, these are all 5-star gunsmiths capable of building rifles that can obviously compete at the highest level. If I remember correctly, from Tyler Payne’s precision rifle podcast episode right after the finale, he uses Surgeon actions but his rifles are built by one of the gunsmiths at the AMU. Interesting. I went back and double-checked, and when the survey asked “Who built your rifle?” Tyler selected that Surgeon Rifles. I don’t know what to say about that. What you’re saying makes sense to me, but I’m just reporting what people said on the survey. A bit surprised that David Tooley of David Tooley Rifles is not listed. David Tooley is certainly a great gunsmith. He may have chambered some of the AI rifle represented here. While he isn’t the only one that chambers barrels for AI, I believe he has chambered some of them. 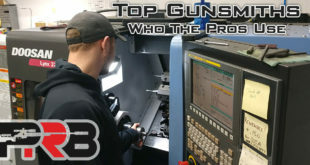 AI outsources barrel work to whoever they think are the best gunsmiths in the country, and David Tooley is on that list. I read one time that Tooley Custom Rifles have been used to set 30 world records in short and long range disciplines. Ultimately there is no way this list can contain all the great gunsmiths. That’s why this year I tried to make it abundantly clear that I’m not saying this is an exhaustive list. There are only a little over 100 shooters represented here. While these gunsmiths represented are great ones, there are others not listed who make rifles of this caliber. David Tooley is a great example of one of those guys. I think Scott Harold of Quarter Minute Magnums is another one. … and there are several more. We’re fortunate to have a long list of awesome gunsmiths to pick from. That wasn’t the case several years ago. Now the problem is there are so many people getting into this sport that all the good gunsmiths are still backed up over 6 months! Ha! Of course, I’ve learned over the years that to gladly wait in line for a good gunsmith. It’s worth the wait. I think you forgot Jon Pynch, or his survey didn’t go through like my first attempt. He shot a Surgeon built 6-SLR at the finale and took 5th at the finale and 5th in the season. Can’t wait to see the rest of the articles! I love reading these and seeing what’s coming and going! Yep, Matthew. You’re dead on! Unfortunately, Jon was one of the few guys in the top 30 that I didn’t get a survey from. 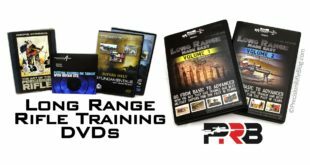 I didn’t have an email address for him, since this is his first year (yes readers, in case you missed that … it was Jon’s 1st year to shoot PRS and he took 5th overall), so I wasn’t able to reach out to him to follow-up. Honestly, I take ownership for that. I think it’s more my fault than anyone’s. Unfortunately, we sent out the survey the week of the finale this year, which is not ideal … and we won’t do that again next year. All the shooters had a lot on their mind that week and were probably busy prepping for the match, so we missed results from a couple guys. Fortunately, I was able to reach out to most that were missing and ended up getting 28 of the top 30 … but ultimately I was still missing a couple. I didn’t want to hound people to death, especially since we already had over 90% participation. Next year I think the plan is to make the survey part of the finale registration process, so we get 100% participation … and not wait until the last minute. Funny enough, I did see 2 surveys come through for you. The first was on Jan 24th, and the 2nd was on Jan 31st. I combined the surveys for the results that I’ve been publishing. Sorry for any inconvenience on that. I’m not sure what happened there. I do pay for what I believe is the best, professional surveying tool you can buy, just to try to make this as pain-free as possible for you guys. It’s the same one that a lot of Fortune 500 companies use, and it’s won a bunch of awards. Unfortunately, it seems like no software is bug-free! 😉 I do sincerely appreciate you guys taking the time to fill it out. I know this info helps a lot of people! And it sounds like the Surgeon Rifles team is shaping up to be ridiculous for the 2017 season! Best of luck to you guys! Hope to see you around at some matches later in the season. Paul Wunische is one of the Best Gunsmiths in the Country. If you are lucky enough to own one of his guns you know what I mean. I might of screwed up but b Paul Wunische and Hidden Valley are one and the same, Nick Gadarzi and I both use him! Ah, okay. That makes sense. Thanks for the clarification! Yeah, it looks like you answered that question Paul, and Nick said Hidden Valley. Some other guys did something similar, but I was able to piece it together with a little detective work. But, honestly I couldn’t find information on either of them. I tried to Google anything related to “Hidden Valley” and gunsmithing/rifles, and didn’t turn anything up that looked legit. The only thing I found for “Paul Wunische” (which the name should make it easy to find) was that stub of a Facebook page that said “Retired Gunsmith” with a photo, but no contact info. Is “Hidden Valley” the name of the company Paul used to have, and he’s since closed it down and retired … or is there still an active company and gunsmithing going on? I definitely appreciate the clarification. If you have any info for my readers on how they could get in touch with Paul if he is still doing gunsmithing, please pass it along. 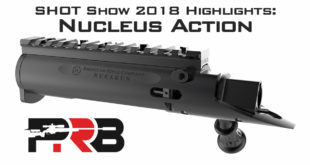 Glad to see Roberts Precision Rifles on the list. Aaron is building a rifle for me as we speak and has gone above and beyond with my previous build and all the questions that came along with it. You can’t ask for a better guy or smith..
Good to know, Josh. Certainly appears to be one of the best, and very few people have a resume like that! Thanks for sharing your experience. Is this just for Open division? Wondering because there there 2 PGW Coyotes at the Finale. One shot Open and the other shot in Tactical. The results shown reflect all shooters who completed the survey in the Open and Tactical Divisions.